Autumn is here, and with it the products typical of the season which, in Italy, are celebrated at the numerous ‘sagre,’ ‘fiere’, ‘feste’, - food festivals in cities and villages all across the country dedicated to local ingredients, from mushrooms to wine, from apples to pumpkin, from olive oil to truffle, from chestnuts to polenta. It’s an opportunity to discover Italy sometimes in lesser-known places and to mingle with locals, while experiencing first-hand the love Italians have for food. Here’s a round-up of Italy’s unmissable autumn food festivals. The world’s largest and best-known exhibition of truffles from the Piedmont hills (Unesco-inscribed Langhe, Roero and Monferrato) is the go-to event for truffle lovers. The program includes sensory evaluations led by experts, historical parades, wine tasting, truffle shows and of course hikes in the woods to search for the prized round-shaped tartufo bianco di Alba in the company of trained dogs. From October 19th to the 28th, Perugia’s historic center will host EuroChocolate, which celebrates its 25th anniversary this year as Italy’s largest chocolate exhibition, with 130 chocolate producers. Awaited guests include chocolate artisans Guido Gobino from Turin, Andrea Slitti from Tuscany (one of the most important artisan chocolatiers in the world) and Pierpaolo Ruta from Sicily, the ambassador of chocolate from the Sicilian town of Modica. 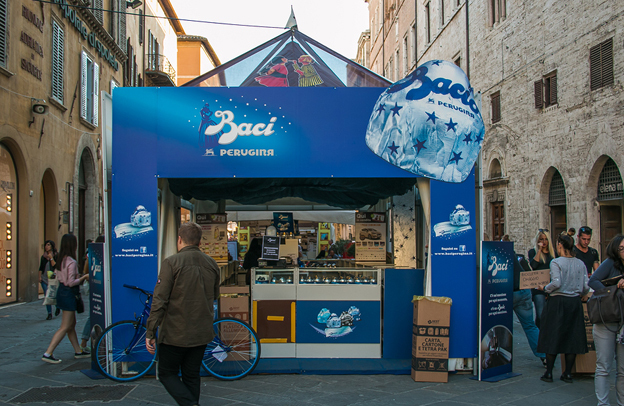 The highlight is the mega box of chocolate pralines measuring 4 meters, containing 25 assorted treats, placed in Piazza IV Novembre. Chocolate sculptures can be admired on Sunday, October 21st, in Corso Vannucci, Piazza IV Novembre and Piazza Matteotti. The event is preceded by Choco Day, dedicated to sustainable cocoa and responsible consumption of quality chocolate, promoted since 2005 by Eurochocolate and celebrated on October 12, the day America was discovered, as America is the country that gave Europe chocolate. The area where some of Italy’s most prized cured meats – including prosciutto di Parma and culatello di zibello – are produced, the so-called Bassa Parmense, the flatlands near Parma in Emilia-Romagna, celebrates pork throughout November, an important month for the production of prosciutto and culatello, as chilly temperatures, humidity and fog all contribute to their final flavor. A sort of gourmet relay race is held in four different towns each weekend in November: Sissa, Polesine Parmense, Zibello and Roccabianca. 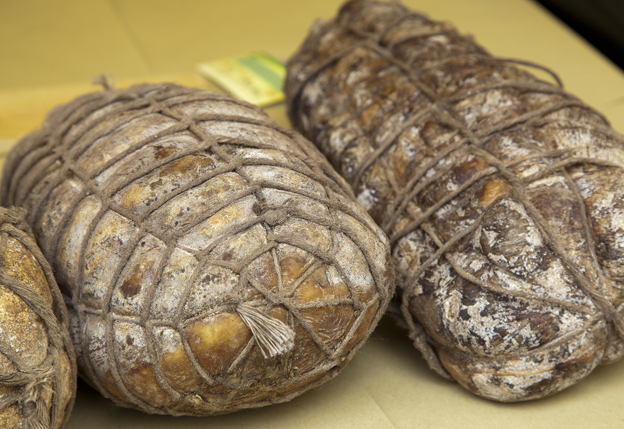 Each town will feature different pork products, all typical cured meats of the Parma area: prete, strolghino, cicciolata, Mariolone, culatello. The festival features food stands, handcrafted beers, street art and music. 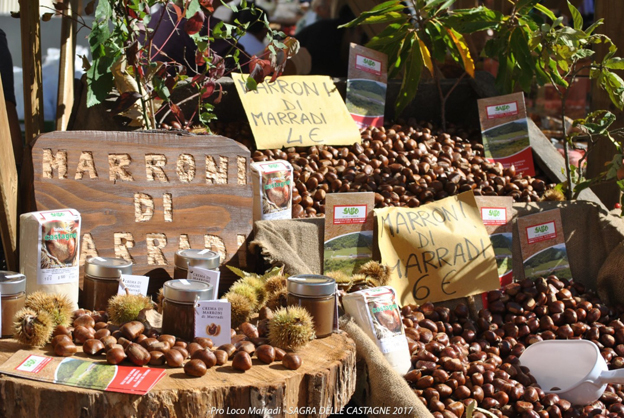 There are festivals dedicated to one of the signature products of fall, chestnuts, everywhere in Italy, but a major one takes place in Marradi, the main village of the area known as Romagna-Toscana, located between Faenza, Florence and the Adriatic coast. Surrounded by extensive chestnut groves, Marradi, land of the ‘marron buono’ (the good chestnut) is especially renowned for its chestnut production. It takes place every Sunday in October, and the train ride to get there, along the Faentina railway line, from Faenza or from Florence, has lovely views of the countryside and mountains. Warm bread topped with extra-virgin olive oil from the rolling hills on the slopes of Mount Subasio: from the 16th to the 18th of November, extra virgin olive oil lovers gather in one of Umbria’s most beautiful villages, Spello, between Assisi and Foligno, to celebrate and taste the new oil. Trattorie and restaurants participate in the event, which also features musical entertainment and re-enactments of rural life. We told you about the special way that Fossa cheese is obtained here. 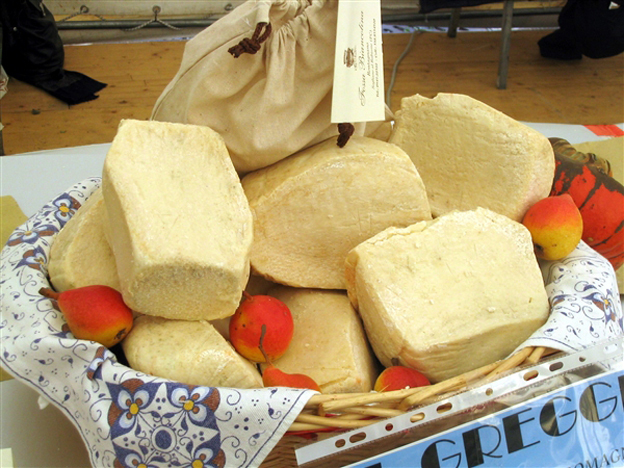 In November, after three months of aging in the special ‘fosse’, or caves, the cheese is taken out and ready to be tasted, which people do at this sagra, where it is accompanied by locally-made preserves and jams, on display in the stands set up along the streets of Sogliano’s historic center. November 19, 26, December 2. October is the perfect month to travel to the foot of the Etna volcano to enjoy mushrooms and apples, cakes and wine, all with an intense ‘volcanic flavor.’ Ottobrata takes place every weekend in October in Zafferana Etnea, and visitors can taste typical dishes and products of the Sicilian autumn. Every Sunday is dedicated to different delicacies, be it grapes or honey, fruit, mushrooms and chestnuts. This event celebrates ‘il cinghiale’, boar meat, one of the great protagonists of Tuscany’s rich gastronomic world, in the village of Chianni, set amid the Tuscan hills. You’ll find the classic tagliatelle al cinghiale dish as well as robust meat-based second courses, but also cured meats and cheeses, as well as stands with bakery products and jams made the traditional way.